Out of all gaming genre, Tower Defense is one of the oldest genres on mobile that has pleased many users. The reason why Tower Defense game is much popular amongst Android users is that it offers actions, strategy, and a little bit of stress. So, in this article, we are going to share 10 best Tower Defense game that you would love to play on your Android device. Now that Android is the most used mobile operating system, more and more games and apps are now being made. In fact, if we take a more in-depth look at Android’s Google Play Store, we will find tons of apps and games. Well, there are many great things that we can do on our Android, and playing games are one of them. In fact, Android’s Google Play Store is loaded with games now. If we spend some time on the Google Play Store, we can discover a wide range of great games. Out of all gaming genre, Tower Defense is one of the oldest genres on mobile that has pleased many users. 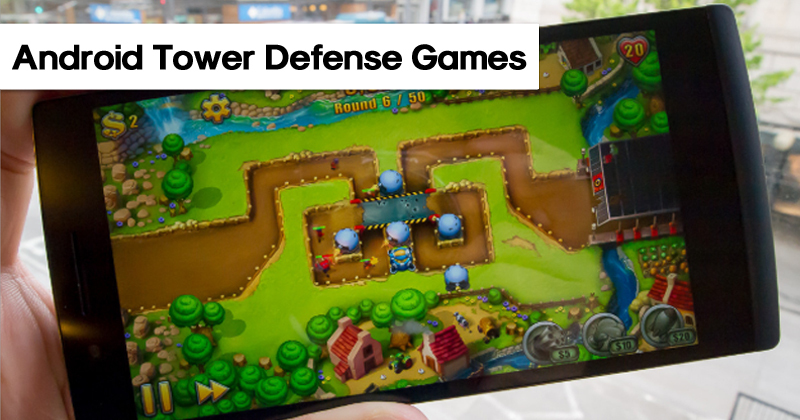 The reason why Tower Defense game is much popular amongst Android users is that it offers actions, strategy, and a little bit of stress. These are the ingredients of the popular gaming genre. In tower defense games, you need to stop the enemies from reaching a certain by building towers. 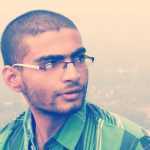 So, in this article, we are going to share 10 best Tower Defense game that you would love to play on your Android device. You can download these games from the Google Play Store. So, let’s explore the list of best Tower Defense Games for Android 2019. Castle Defense is one of the best tower defense game that you would love to play on your Android. Basically, it’s a free game, but it has some in-app purchases. The in-app purchases of the app will help you to purchase weapons and upgrade the troops. The great thing about Castle Defense is that it offers 15 battlefields, 12 towers, and 100+ challenging levels. 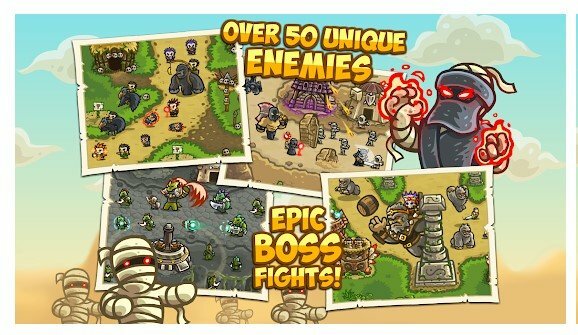 Kingdom Rush Frontiers is another best Android tower defense game that you can play today. The game follows every tower defense rules, but in Kingdom Rush Frontiers you need to protect your lands from man-eating plants, a dragon with heroes, etc. The game can be challenging too because there are more than 40 enemies and you have to defend 18 towers. Dungeon Defense is one of the most popular Tower defense game available on the Google Play Store. In this game, you need to pick up the heroes and place them on the border to attack the enemies. The game is highly addictive, and the visuals are appealing as well. With each wins, you get rewards which you can use to upgrade your heroes with different sets of weapons. So, Dungeon Defense is another best tower defense game for Android that you can play right now. Well, Defenders 2 follows a different concept rather than going with the trend. 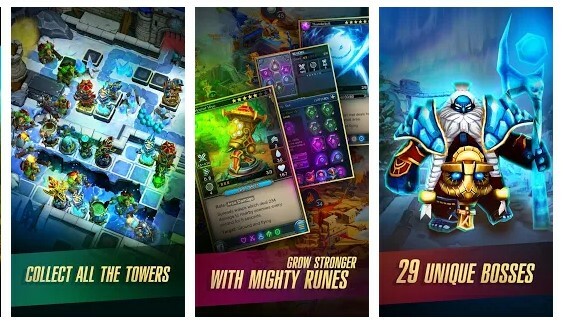 Defenders 2 is the mix of card and tower defense game in which you need to unlock towers by collecting cards. The great thing about Defenders 2 is that it allows users to use those cards in the game. The game has over 40 towers, 20 spells, and 29 bosses. So, its one of the most challenging tower defense games for Android 2019. If you are looking for tower defense games for Android that offers high-quality visuals, then Defense Zone 2 HD might be the best pick for you. The game is addictive, and it demands strategic gameplay. The game allows users to pick for the easy, medium and difficult mode to play. On this game, you need to defend your towers while destroying the enemies. So, Defense Zone 2 HD is another best tower defense game which you can play right now. If you are looking for a free tower defense game that’s addictive and full of fun, then Filedrunners 2 might be the best pick for you. The great thing about Filedrunners 2 is that it has new weapons, explosive traps, and much more. Apart from that, you can also upgrade your weapons, air strikes, etc. So, Filedrunners 2 is one of the most enjoyable tower defense game that you can play right now. With Jelly Defense, you can lose yourself in an amazing, unique and beautiful world! Build powerful towers and lead your army to battle against fantastic and demanding enemies! The most magic, addicting and surreal adventure awaits you. Jump in and become the ultimate Jelly legend. Without any doubt, Jelly Defense is one of the best tower defense game that you can play today. 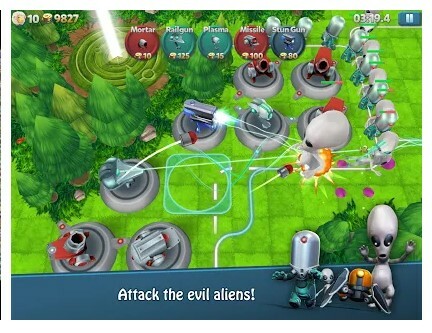 Well, Plants vs Zombies is not precisely a tower defense game, but the mechanics are there. 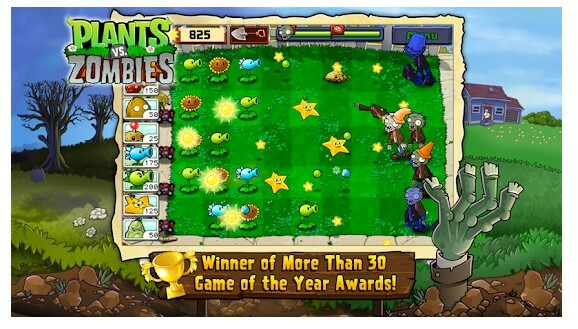 In this game, you need to defend your plants from the zombies. The game comes with a unique concept where you need to plant weaponized plants in your yard to destroy the wave of zombies. So, it’s another fun addictive Android game that you can play right now. Tower Madness 2 is one of the most popular Tower Defense Game that you can play right now. The best thing about Tower Madness 2 is that it offers over 70 levels, nine towers, and dozens on enemies to fight with. Not just that, but Tower Madness 2 also offers a multiplayer mode in which you can play against or with your friends. 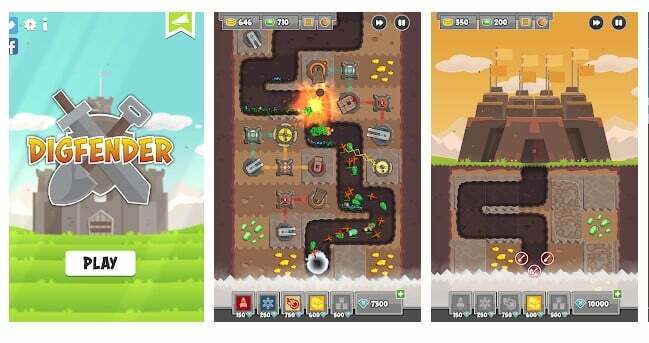 So, Tower Madness 2 is the more popular tower defense game that you can play on your Android smartphone. Toy Defense: Fantasy Tower takes you to the fantasy world where your kingdom depends on you to defend the castle. Guess what? Toy Defense: Fantasy Tower has 96 levels, ground, and air troops, heroes, boss battles and almost everything that you search for in a tower defense game. Not just that, but Toy Defense: Fantasy Tower also organizes weekly tournaments to keep players engaged. Bloons TD 6 is one of the top-rated tower defense game available on the Google Play Store. The game right now offers 20 maps, lots of upgrades, and 19 towers. 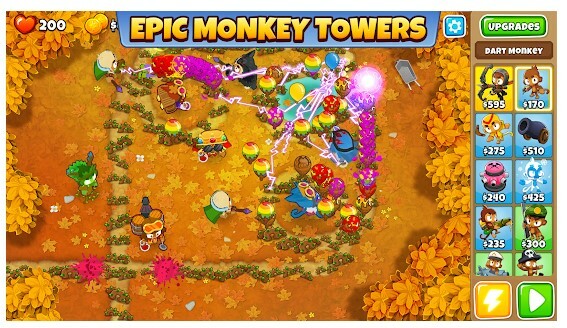 In this game, you need to craft your perfect defense from a combination of monkey towers, upgrades, heroes, and activated abilities. The game is full of fun and its one of the best tower defense game that you can play right now. 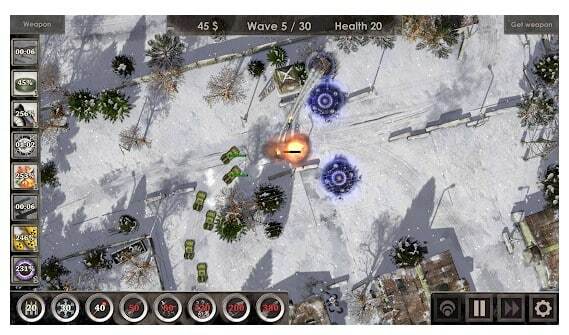 Defense Zone 3 is an upgraded version of Defense Zone 2 which has been listed on the article. 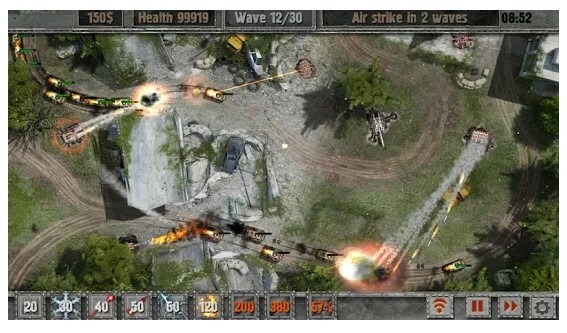 The gameplay of Defense Zone 3 remains the same as of Defense Zone 2 in which entire armies of enemies rush at your defenses, trying to destroy them. You need to set up a proper strategy to defend your towers. The game is high in graphics and its definitely the best tower defense game that you can play today. Digfender is another best tower defense game on the list which has more than 70 levels. Guess what? each of the levels gives you a basic map in which you need to dig your level out yourself and defend the path you dig. It’s one of the fun and addictive tower defense game that every gamers would love to play. So, Digfender is definitely the best tower defense game that you can play today. So, these are the ten best Tower defense games that you can play on your Android smartphone right now. If you feel that the list misses any important game, then make sure to drop the name on the comments. So, what do you think about this? Share your opinion with us in the comment box below.